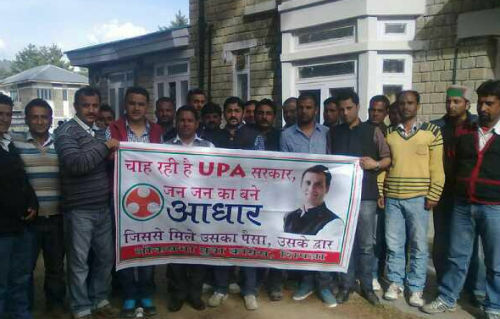 Shimla LS youth congress on its ‘Door to Door campaign’ reached Nerva today. Shimla LS youth congress team was welcomed by Chopal youth congress president Virender Dhanta and other youth congress workers. Shimla LS president Manish Thakur lead the youth congress team and while addressing youth congress workers he emphasised on the need of unity among youth and urged for their invaluable contribution for the development of the region. Manish Thakur blamed rulings Govt. for partial attitude for the Chopal constituency, where even three panchayats headquarter are not connected by the road facilities. 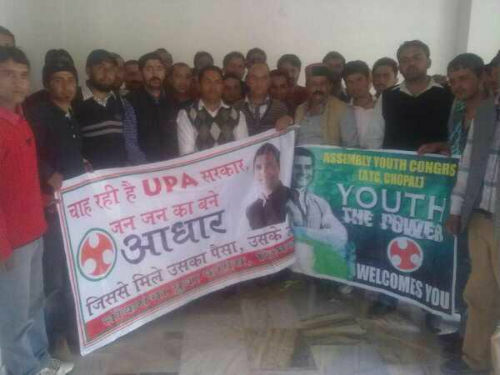 Shimla LS youth congress Gen Sec Sanjay Thakur, Abhishekh Chawla and Vinay Hetta among other youth congress workers were present on the occasion.